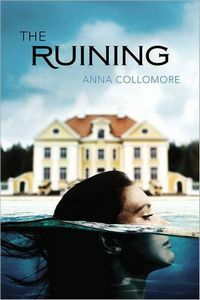 The Ruining by Anna Collomore: Synopsis and Online Purchase Options. Synopsis (from the publisher): Annie Phillips is thrilled to leave her past behind and begin a shiny new life on Belvedere Island, as a nanny for the picture-perfect Cohen family. In no time at all, she falls in love with the Cohens, especially with Libby, the beautiful young matriarch of the family. Life is better than she ever imagined. She even finds romance with the boy next door.